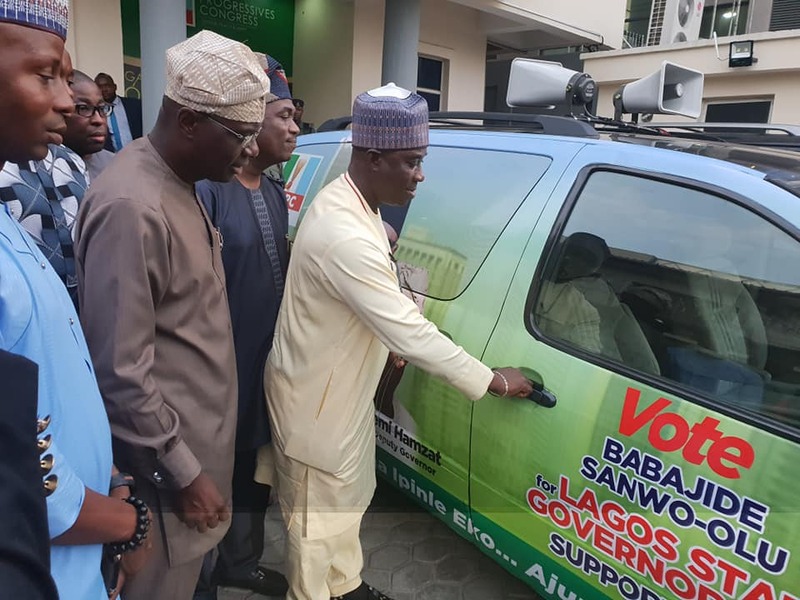 Fuji music maestro, Wasiu Ayinde Marshal popularly called K1 De Ultimate, has donated some campaign vehicles to candidate of the All Progressives Congress (APC) for the Lagos State governorship election in 2019, Mr Babajide Sanwo-Olu. The vehicles were donated when the musician held a meeting with Mr Sanwo-olu and his deputy governorship candidate, Mr Kadiri Obafemi Hamsat, at their Awolowo Road, Ikoyi office on Tuesday afternoon. The meeting becomes the first to be done by the musician since the flag off of the campaign by the party. The veteran artiste said he would give out 15 vehicles to support the former Commissioner’s gubernatorial ambition. K1, who is also a top party member, used the opportunity to pledge his loyalty to the party towards winning the election in the state next year. “The journey has started and we have mapped out plans to achieve this. We have done this for the past three governments and I am certain that what we started will turn out well. I have no doubt in my mind that victory is just by the corner.I am giving my words that my support will be total till we achieve the desired victory. I will not only support with my music but everything to make sure victory is ours,” K1 said. In his response, Mr Sanwo-olu expressed his delight for the gift, thanking the musician for the gesture.